Visiting Catholic churches is a must for me whenever I travel anywhere in the Philippines. I consider my travel incomplete if I fail to go to at least one church located in the town that I am visiting. 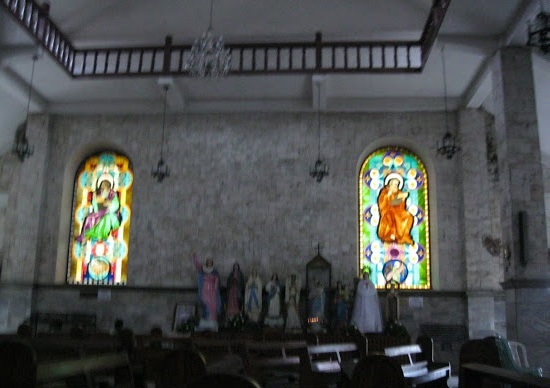 As a Catholic nation, churches serve as a witness to the history of the town where it is located. 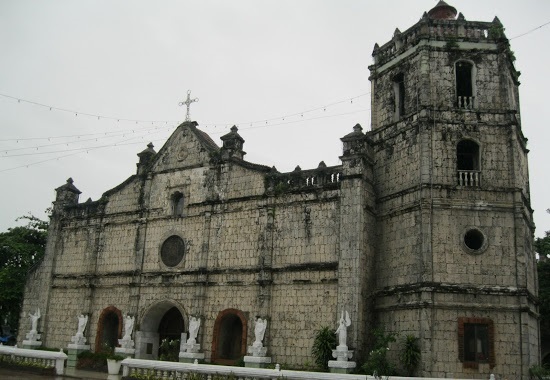 The province of Cebu, as the earliest Spanish territory in the Philippines boasts of old churches that are filled to the brim with history. Danao City boasts of an old church and I am glad that I got the chance to pay it a visit. 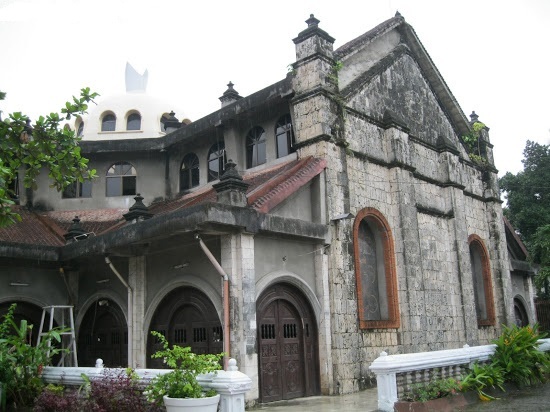 The Danao City Church, or more officially known as Santo Tomas de Villanueva Parish Church, was built in 1755. The church suffered partial destruction during the Second World War. Partial reconstructions were made to the church but the church’s edifice still stood precariously. Full reconstruction was done in 1985 after a generous donation by Ramon Durano. The church is quite big and its bell tower serves as a marker for those who are sailing to Danao City. The church grounds are wide enough to allow parking for several vehicles. Notice the unique shape on the top of the white dome? The old look of the church was ensured when reconstruction work is being made. Just like most of the Catholic churches built during the Spanish era, Danao City Church’s walls are thick and solid. The dome of the church has replica of a mitre, which symbolizes the parish’s patron saint. Santo Tomas de Villanueva is an Augustinian friar and the archbishop of the Archdiocese of Valencia, Spain from 1544 to 1555. Danao City Church is cavernous and, I believe, can accommodate all those who attend the Sunday masses. 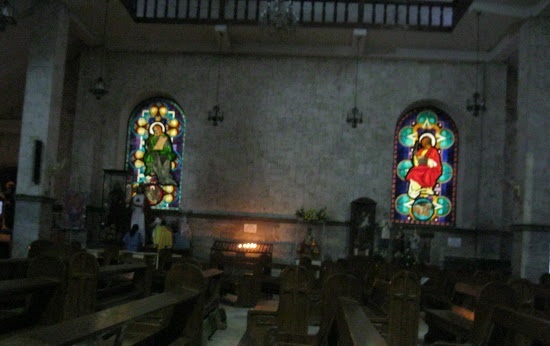 The church is quite empty though during the weekday masses because only few people go to the church during weekdays. I attended an evening mass in Danao City Church. I can’t understand the mass readings and homily because they were spoken in the Visayan language. Seems like I need to ask my beloved to teach me more to speak Visayan so that I will not have a hard time guessing what other people say when I am in the Visayas. I noticed that the people who attended the evening mass genuflect whenever they enter and leave the church. It is a good sign that some Catholics in Danao City know how to honor Jesus Christ in his temple. 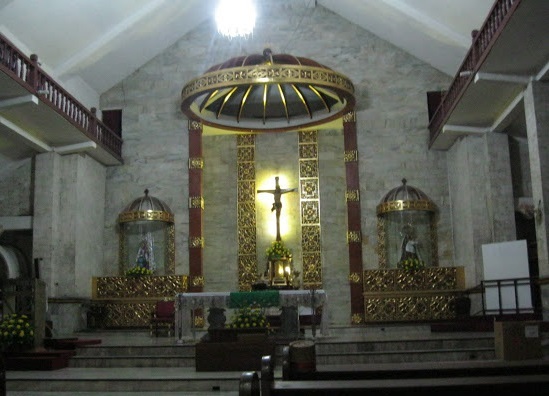 My only wish is that the Holy Eucharist be placed inside the church like the way it is placed inside Santa Cruz Church in Manila.